52cm x 43cm Framed, with glass. 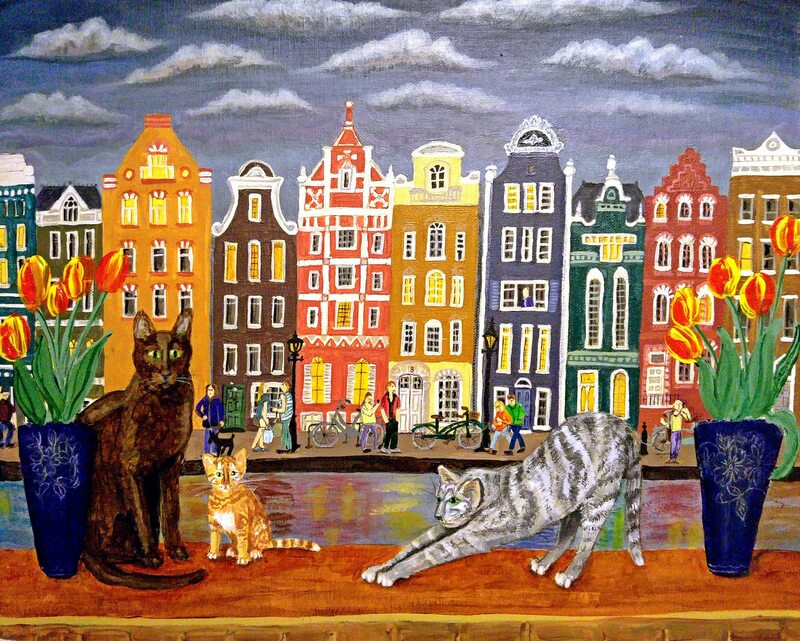 My havana cat Fidel has for some reason taken a trip to the Netherlands in this picture, to hang out with some Dutch moggies. I love old buildings, and those narrow, slightly leaning, one room wide merchants houses along the Amsterdam canals intrigued me. And of course, you can’t have a picture of Holland without some tulips.